A high-profile delegation of 17 U.S. corporations which visited Malaysia on Sept 8-10, led by the Washington-based US-ASEAN Business Council (USABC), has expressed support for Malaysia's membership in the Trans-Pacific Partnership (TPP). 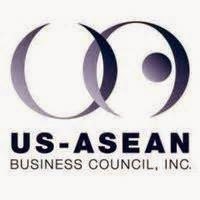 The USABC promotes business and economic ties between the U.S. and ASEAN member states. The USABC delegation was headed by Alexander Feldman, its president/CEO, and Kevin Walsh, the chief technology officer of the Council's Malaysia Committee. "The U.S. corporate sector supports Malaysia's participation in the TPP and has praised Malaysia's leadership in bringing about the formation of the AEC and the development of a post-2015 agenda to further strengthen the ASEAN economies and to support local small and medium enterprises (SMEs)," Feldman said. The delegation, which met leading Malaysian politicians including Deputy Prime Minister Tan Sri Muhyiddin Yassin, discussed a number of issues of interest to the U.S. corporate sector, including the economic reform process in Malaysia and its role in 2015 as the chair of the ASEAN group which will be upstaged to the next level of economic integration with the impending creation of the ASEAN Economic Community. This new integrated community has been generating a great deal of interest in the U.S. industry and businesses which are eyeing the 600 million-strong consumer market. "The U.S. has for a long time been the largest investor in Malaysia with nearly US$14 billion in foreign direct investment in 2013. "Malaysia's participation in the TPP and the successful completion of the AEC will only increase the strength of the US-Malaysian bilateral trade relationship, and support the success of Prime Minister Datuk Seri Najib's efforts to help Malaysia achieve developed nation status by 2020," Feldman said. The USABC delegation also showed interest in developing human capital in areas such as engineering, science and information technology that are crucial for Malaysia's global competitiveness. The delegation also called for the free flow of data so that Malaysia could maintain and strengthen its appeal as an IT hub, and remain attractive as a FDI (foreign direct investment) destination. The delegation discerned that Malaysia is working closely with the private sector. Its reading is that the Malaysian government sees value in fostering public-private partnerships in order to achieve its development goals and to make the most of its chairmanship of ASEAN in 2015. The Malaysian government is expected to continue to advocate policies that will enable the country to remain globally competitive, and remains confident that the final agreement will be a win-win result. While excited about the opportunities that would open up with the creation of the 600 million-strong consumer market of the AEC, U.S. corporations hope that they will eventually be able to tap into the single market where goods, services, investments, capital and skilled labour are able to move freely throughout the region. "A single market and harmonisation of regulations will make investments in ASEAN far more attractive and the Council is eager to support Malaysia's leadership in the AEC. The USABC says it is also keen to attract greater investment flow from Malaysia, adding it is committed to promoting greater two-way trade between the U.S. and Southeast Asia. One initiative the USABC has been involved in is training of local Malaysian SMEs through the US-ASEAN Business Alliance for Competitive SMEs, a joint programme of USAID and the Council. "The event has already held one training in Kuala Lumpur and looks to do more in the future," the spokesperson said. According to the U.S. Census Bureau, U.S.-Malaysia two-way trade amounted to nearly US$24 billion in the first seven months of 2014, with Malaysia's exports to the U.S. amounting to $16.541 billion and imports from the U.S. touching US$7.362 billion.